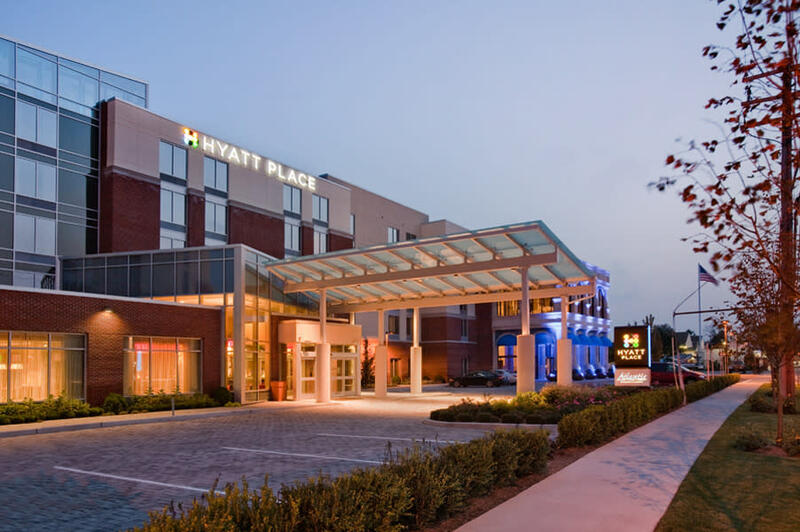 Situated along the beautiful Peconic River, Hyatt Place Long Island’s chic, contemporary vibe is perfect for those traveling to Long Island’s famed East End. 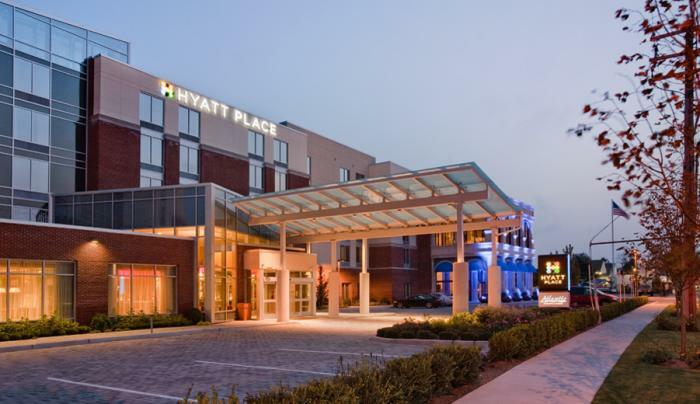 Located in the heart of downtown Riverhead, our Long Island hotel features sleek, spacious suites and an attentive staff so you can enjoy the nearby area without having to sacrifice your comfort—no matter whether staying for business or pleasure. Our plush Hyatt Grand Beds and luxe amenities allow you to relish the joys of home. Add in stylish décor and breathtaking views of the on-site marina, and our hotel becomes your one-stop-shop to modern-day splendor. Enjoy a state-of-the-art fitness center, or sip on premium beers and cocktails at our intimate café. Located right in the middle of downtown Riverhead, our hotel’s prime location offers you the best of Long Island. The world-renowned Long Island Aquarium & Exhibition Center is next door to our hotel and close to the Long Island Wine Region, much-esteemed Hamptons, and outdoor recreation, such as golfing or canoeing.